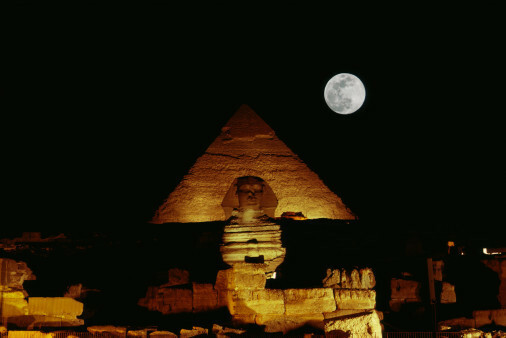 Giza at Night. . Wallpaper and background images in the Egypt club tagged: egypt night giza sphinx pyramids light show photography.